In the classic 90s comedy Seinfeld, Kramer reprimands Jerry Seinfeld for Jerry’s callous, off-handed remark about ‘those people’ — the dentists. Kramer, misinformed as always, launches into a tirade telling Jerry that ‘those people’ came to this country ‘in search of a dream’ like everyone else. That ‘search’ is referenced often throughout our country’s history, but in the beginning, for some it was more of a choice between bad or worse. This is especially true for immigrants that landed in the Virginia Colony. As I have written before, Peter Clavell, the first Claywell in my family tree to live in North America, was an indentured servant. Research by the late Charles Clayville, Jr. offers the following sketch of Peter. The first reference to Peter Clavell’s arrival in the New World appears on the Certificates and Rights. In 1664 he was an Indentured Servant according to a land patent to Southey Littleton in Accomack County, Virginia. …Peter probably did not arrive directly from England. They transported him from Jamestown, Virginia where Southey had purchased or traded Peter’s headright from a ship’s captain. To pay for his transportation, Peter agreed to work (be indentured) as an unpaid servant to Southey for five years. Although significantly less harsh, in many ways indentured servitude is similar to slavery. Immigrants typically became indentured because they could not pay for — part or all of — their passage to North America. Most of these servants ended up in the Virginia Colony. 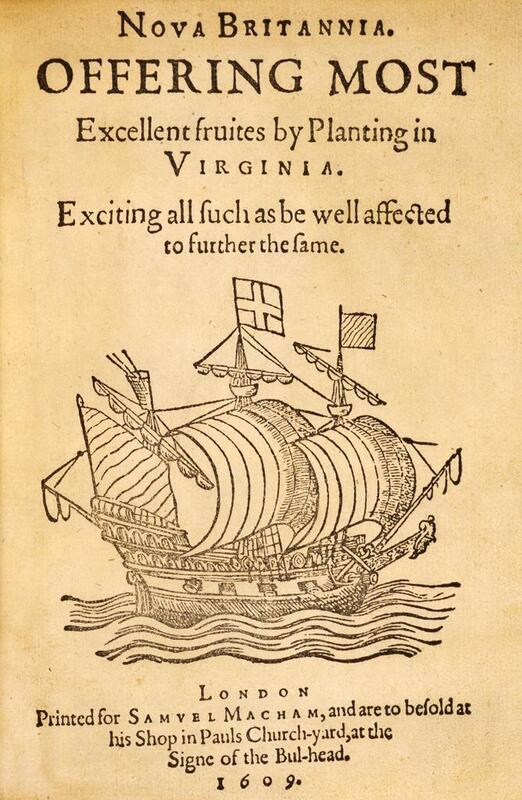 Since the colony was a business venture – and laborers were needed to produce a profit– the Virginia Company of London advertised and marketed extensively in England for recruits. When they failed to secure enough laborers, convicts were accepted and some people, even children, were kidnapped and delivered to Virginia. As a result of the abuses and of the transferable nature of the headrights, the system, which may have been intended initially to promote settlement and ownership of small plots of land by numerous immigrants, resulted in the accumulation of large tracts of land by a small number of merchants, shippers, and early land speculators. Since the system effectively concentrated two-thirds of the land into the hands of the wealthiest 10 percent, the imbalance of wealth meant indentured servants were near the bottom of the food chain. The bottom being held by slaves. Being so far down the social ladder meant the servants had very limited legal rights. In America at 1750: A Social Portrait Richard Hofstadter explains what it meant to be an indentured servant. An indentured servant was legally considered his master’s chattel. This meant the servant could be bought and sold, he could be passed along through an inheritance and he could be rented out. Unlike a slave, though, an indentured servant could own property, but like a slave, he could not vote. The master was legally permitted to beat the servant for certain offenses and the servant could not marry without the master’s permission. The inability to legally marry (without their master’s consent) led to a societally-imposed celibacy, but also led to a significantly higher rate of children born out of wedlock than in the other colonies. Unmarried women, were publically flogged for bearing a child, but not so much because it was considered morally wrong, but because of the time ‘stolen’ from their master during childbirth and childrearing. Although illegitimacy was high in Virginia, the most common crime committed by indentured servants was running away. To curtail this situation, an extremely lopsided system of punishment evolved. At first, individuals convicted of running away, would be required to extend their contract by twice the number of days lost. So, if a person escaped for a month, their servitude was lengthened by two months. Eventually, it became so uneven, that in Maryland, the punishment was a 10-to-1 ratio – or 10 months for every month the servant was gone. One unfortunate female servant’s contract was extended by 15 years, according to Hofstadter. One of the tenets of Americanism is that people settled here for a chance to improve their lot in life. The reality, especially in Virginia, was many were forced to emigrate. However, even those who did choose to come as indentured servants faced considerable odds of climbing up out of their impoverished beginnings. The Horatio Alger mythology has long since been torn to bits by students of American social mobility, and it will surprise no one to learn that the chance of emergence from indentured servitude to a position of wealth or renown was statistically negligible…. For a great many the journey across the Atlantic proved in the end to have been only an epitome of their journey through life. …They had so often left a scene of turbulence, crime, exploitation and misery that there could not have been much hope in most of them…few could have expected very much from American life. Sometime around 1682, Peter married Elizabeth Selby, a daughter of a large landowner Thomas Selby, Sr. Thomas in 1666, patented 1250 acres in the Bogerernorton Hundred which is now part of Worcester County, Maryland. Ten years later, in February, 1692, Peter died and bequeathed the land to Elizabeth. The land was eventually divided among their three sons: Peter, Selby and Thomas. One of the blights on our country’s past is slavery. It was introduced in the Virginia Colony more than 40 years before Peter arrived. In all likelihood, Peter work side-by-side with slaves in the tobacco fields. Despite claims that America began as a Christian nation, the ‘we are all brothers’ precepts of Jesus did not apply to slaves. During this era, in England, slaves who converted to Christianity could be freed, but that idea just didn’t fly here. To keep recently converted slaves under their master’s control, beginning in 1664, the year Peter arrived, the Colonies passed laws preventing emancipation even for the converted.